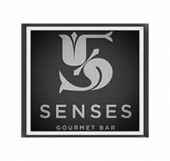 5 Senses Gourmet Bar is open 7 days a week! 5 Senses is a modern new and exciting change to the Canberra cafe scene. The experience of 5 Senses’ three amazing chef’s, has ensured a menu which is creative yet caters to everyone’s Senses. Quality service and a gourmet food experience, along with great coffee and a relaxed atmosphere.